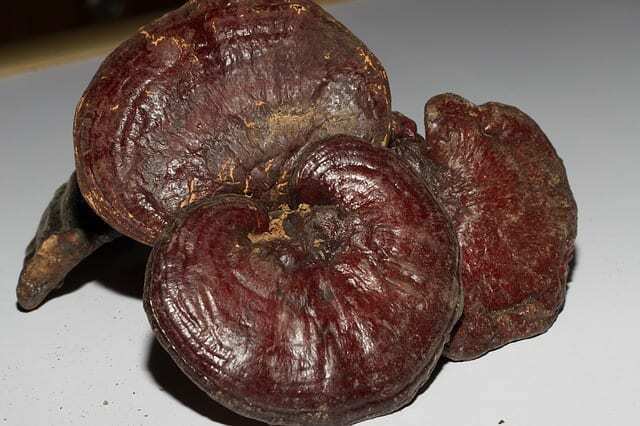 Reishi mushroom refers to a grouping of Ganoderma species. Ling Zhi, the one most commonly used in TCM practice and most studied, is G. lucidum. Other Ganodermas are found world-wide and generally share the same energetics and uses. These include G. tsugae, G. japonicum or G. sinense, G. applanatum, G. oregonense, and G. capense. Many of these are distinguished in medicinal preparations and commerce by their color or similar properties, like the Red Reishi (G. lucidum) and the Black Reishi (G. japonicum or G. sinense), each with subtle emphasis in one area or another of Reishi’s general action. The tree or hardwood on which Reishi has grown adds another dimension to the subtleties of its medicine. Ling Zhi is generally a good guide to how the various Ganoderma species will likely influence a formula or condition. Join the Herbal Nerd Society and Read the Expanded Article that includes a formula recipe to try at home! Ling Zhi has been used for centuries to build and restore Yin and Qi deficiency conditions. Its bland, sweet and bitter tastes offer a fairly neutral restorative effect that’s helpful in all but the most severe conditions. In addition, Ling Zhi is considered warming, nourishing, detoxifying, and disbursing. Folks who suffer from chronic fatigue, allergy and intolerance problems, and low immunity resulting in frequent illnesses or auto-immune conditions are Ling Zhi’s people. When the body is ready, though, Ling Zhi is a master at helping us to dissolve the stuck areas and build the resiliency we need to thrive. From an Ayurvedic perspective, Ling Zhi would be described as a Pitta increasing herb that balances Vata and is relatively Kapha neutral to potentially mildly Kapha reducing. Ling Zhi has a mildly drying effect. In formulation, it’s often accompanied by a slightly moistening herb or mushroom to counter-balance this tendency. Use the counter-balancing herb sparingly in all formulations and increase the proportion for folks who are particularly dry. From a Traditional Western Herbalism perspective, Ling Zhi is considered meaty and salty, according to Matthew Wood, and is indicated for atrophy and excitation. He also points to modern research that connects Reishi in general and Ling Zhi specifically with the adrenal cortex. The research shows that rather than an immune suppressing action, Ling Zhi boosts the adrenal cortex by offering mineralcorticoids that assist the adrenal glands in producing inflammatory compounds. When you taste a really good Ling Zhi tincture or decoction, you’ll likely describe it as predominately bitter rather than bland. The flavor is almost charred, like that of a flame-cooked burger or portabella mushroom, with hints of the wood on which it grew. It’s anything but sweet or bland, yet those tastes describe Ling Zhi’s actions and energetics well. If you let it linger on your tongue, you may experience a bland sweetness at the very end as the bitter flavor clears, but most definitely they won’t be the dominant flavor.